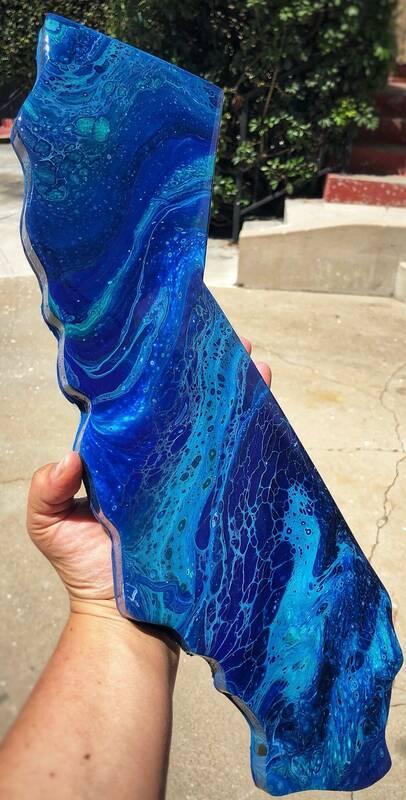 Celebrate your home state with these colorful one of a kind hand painted California wall pieces. You can choose whatever colors work with your decor or stick with the classic ocean vibe of blues and whites! *Each piece measures 7” wide and 17” long line wood painted with acrylic paint and covered with art resin for a sleek and shiny look! * Please put your color preferences in the order comments box. *Turnaround time is typically 10 days from the order date.